The mass systematic murder of more than six million of Europes Jews by the Third Reich, headed by Nazi dictator Adolf Hitler, during World War II shocked the world and remains an often examined and discussed example of attempted genocide. 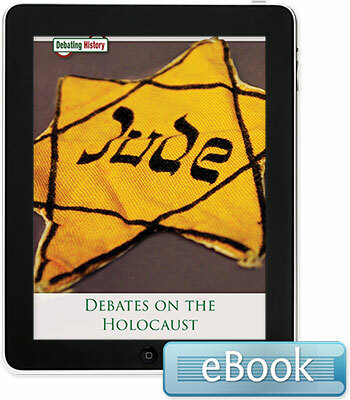 Through he narrative-driven pro/con formatsupported by relevant facts, quotes, and anecdotesthis book examines controversial issues stemming from historic events. Topics include: Was Adolf Hitler the Primary Force Behind the Holocaust? Could Europes Jews Have Put Up More Resistance to Nazi Aggression? Could the Allies Have Reduced the Severity of the Holocaust? Were the Nuremburg Trials Legally and Morally Justified?